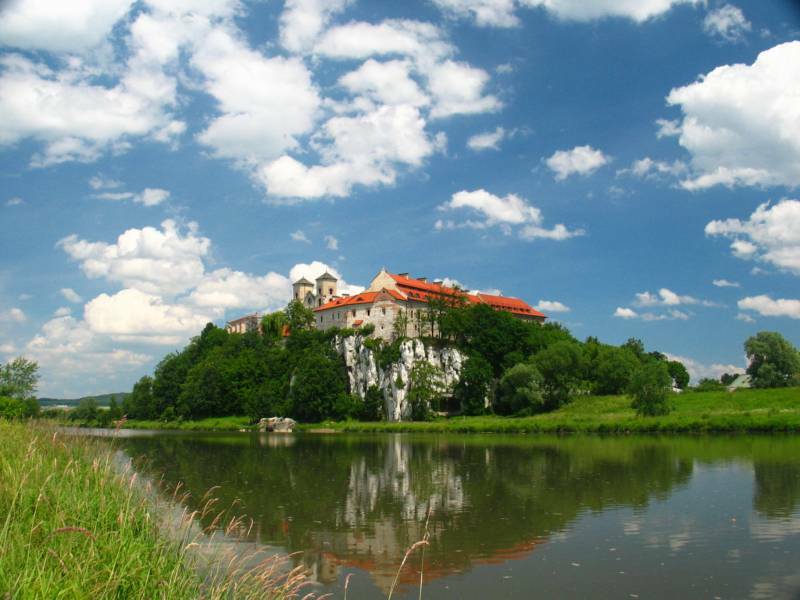 The Benedictine Abbey in Tyniec is the oldest existing monastery in Poland. The first Benedictines arrived here around the mid-11th century. The monastery hill, however, had been inhabited much earlier, already in the fourth millennium before Christ. The first historian to specify the year (1044) of the foundation of Tyniec Abbey was Jan Długosz (†1480). Unfortunately, we do not know Długosz’s source for this date. 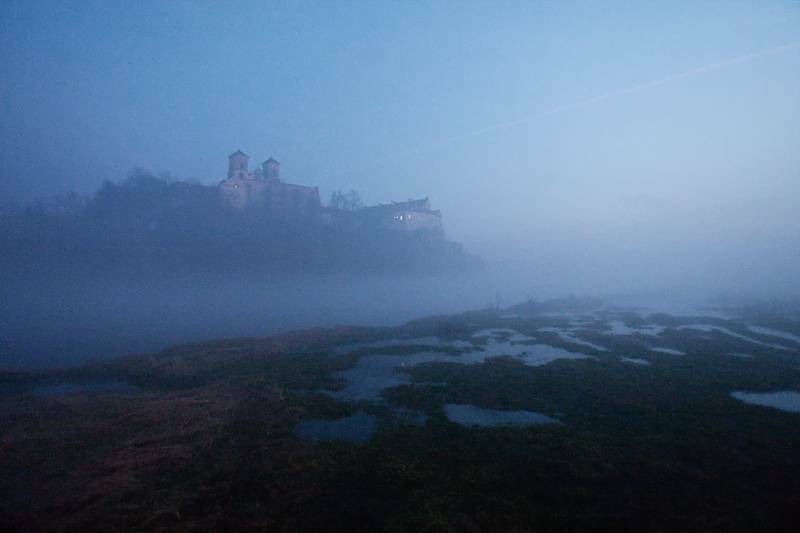 The oldest Tyniec document, dating back to around 1124, is merely a confirmation of the monastery’s holdings at the time, and its existence in the second half of the 11th century is confirmed by the preserved remains of the church, the foundations, and the oldest graves. 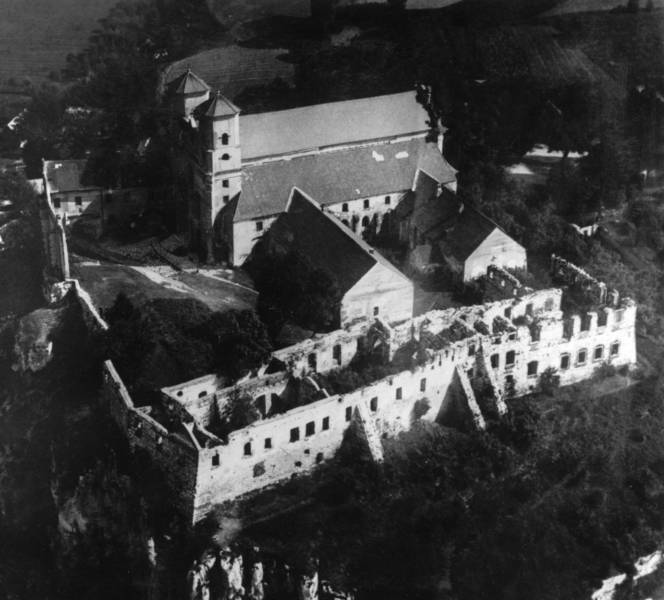 For over 100 years, historians have been involved in a debate about who founded Tyniec Abbey and when it happened. Some stand by Długosz’s indication of the year 1044 and Prince Casimir I the Restorer as the founder. Others refer to the arrival of the monks to the reign of Boleslaus II the Generous and his coronation as King of Poland (1075). In the early medieval times, founding a monastery was a complex process. It can be assumed that the foundation of Tyniec Abbey was commenced by Prince Casimir I the Restorer, possibly on the initiative of his mother, Queen Richesa. It was probably through her intermediation that the first monks came to Krakow from Cologne (her home). The subsequent monarchs granted more lands to the monastery and thus became its co-founders. The foundation process could be considered closed by the consecration of the church by the papal legate (probably around 1124), who also issued a document confirming the lands already held by the abbey. In the early 14th century, when Vladislaus the Elbow-high fought for the throne in Krakow, Tyniec supported his cause, gaining the favour of the prince and future king. The rule of Casimir III the Great and the Jagiellonian era formed a golden period in the history of Tyniec Abbey. The late 14th and early 15th centuries are the time of ecclesiastic reform undertaken by Piotr Wysz, the Bishop of Krakow, and Abbot Mścisław (Mstislav), whom the bishop commissioned to visit the Benedictine monasteries in Malopolska – at Łysa Góra and in Sieciechów. In the second half of the 15th century, Tyniec Abbey was ruled by two outstanding abbots: Maciej of Skawina and Andrzej Ożga. They deserve the credit for building the Gothic church and restructuring the monastery buildings. The political events of the latter half of the 18th century in Poland did not omit or spare Tyniec Abbey. During the fights of the Bar Confederates, the abbey was turned into a modern fortress, whose focal point was the monastery hill, protected by a system of earthworks on the nearby hillocks. The main period of fights over Tyniec began on 20 May 1771 and went on for over a year, until the capitulation which the Confederates entered into with the Austrian troops. The ongoing warfare wreaked considerable destruction in the abbey. The war campaigns led by Napoleon Bonaparte finally brought about its decline. On 8 September 1816, the Austrian Emperor Francis I signed a decree dissolving the abbey. 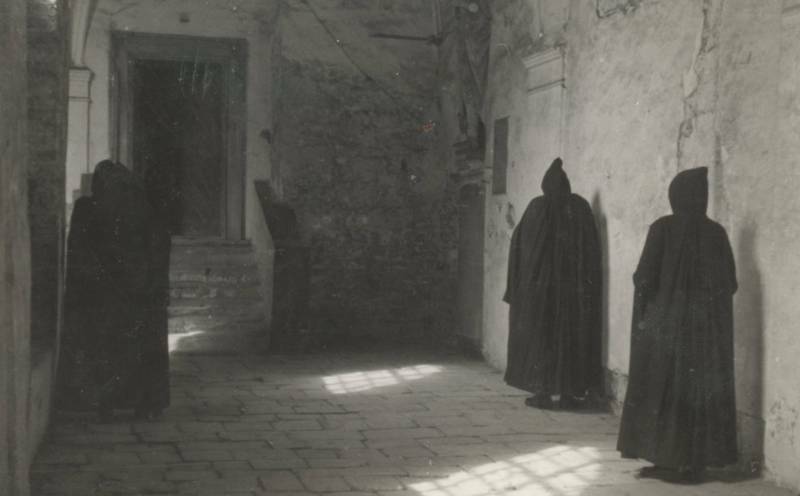 In the ensuing years, the monastery furnishings, the church treasury, the library and the archives were removed from the site. Abandoned, the monastery buildings turned into ruins. The only part that remained operational was the church, where the authorities moved the parish. 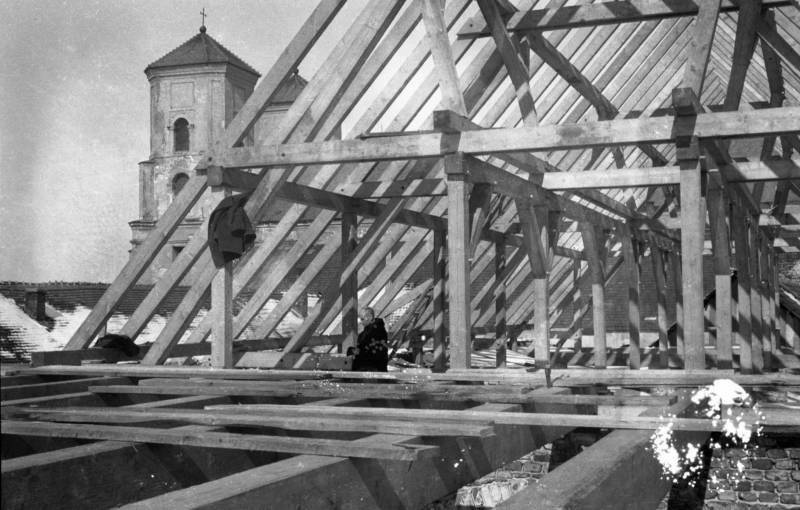 The Benedictines returned to Tyniec on 30 July 1939. 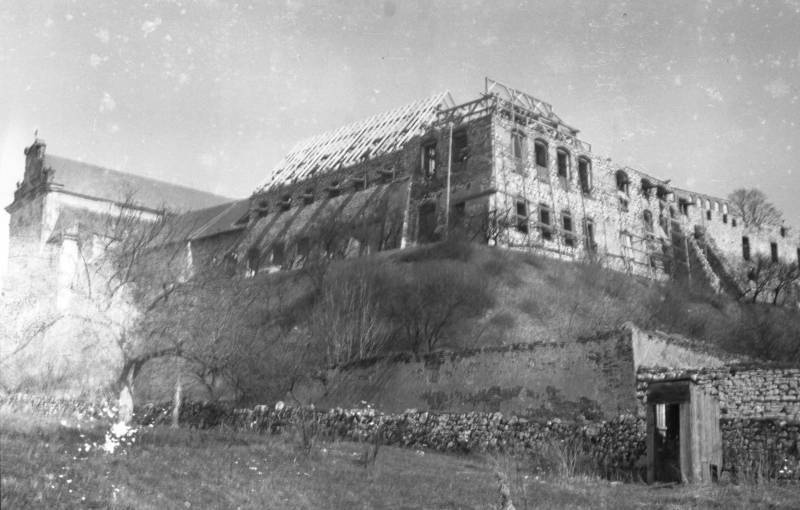 The rebuilding of the monastery commenced after World War II, in 1947. The difficult conditions of the post-war reality made it possible to complete the work only at the start of the 21st century. The architecture of the abbey is indicative of its long and turbulent history. Partly preserved are the Romanesque foundations dating back to the latter half of the 11th century (church) and the late 11th/early 12th centuries (parts of the monastery, including the wall of the Romanesque church and the portal seen from the cloister). The cloistered walkways and the main part of the church (the uncovered Gothic windows in the presbytery and fragments of the portal) date back to the latter half of the 15th century. The decoration of the church is primarily the outcome of the 17th-century redevelopment while much of its furnishings date back to the mid-18th century (large altar, pulpit, side chapels). 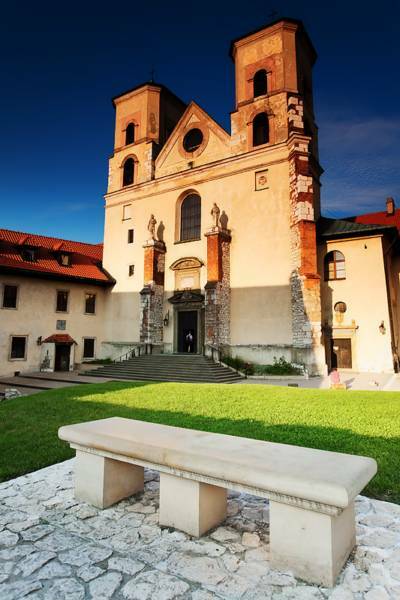 The historic objects on display at Tyniec are but fragments of the abbey’s former splendor. 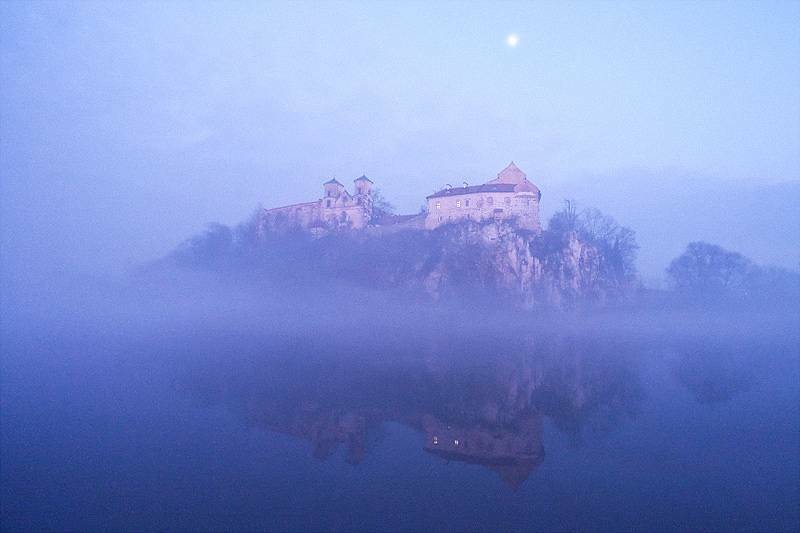 The treasures of Tyniec are today scattered in various Polish museums, archives and libraries. The most valuable medieval manuscripts are in the collection of the National Library in Warsaw, including the 11th-century Sacramentary, liturgical books funded by the abbots in the 14th and 15th centuries, and a manuscript containing the works of Joseph Flavius. Most of the books ended up in Tarnow, and are held in the library of the seminary there. 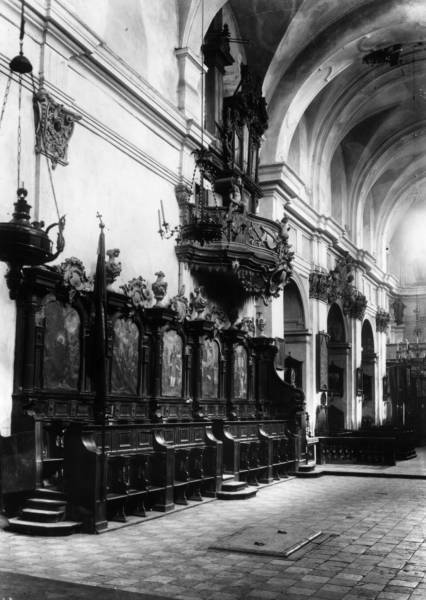 The Cathedral Treasury in Tarnow holds the Gothic and Baroque chalices and monstrances, and the silver antependium (altar frontal) is displayed in the Cathedral.